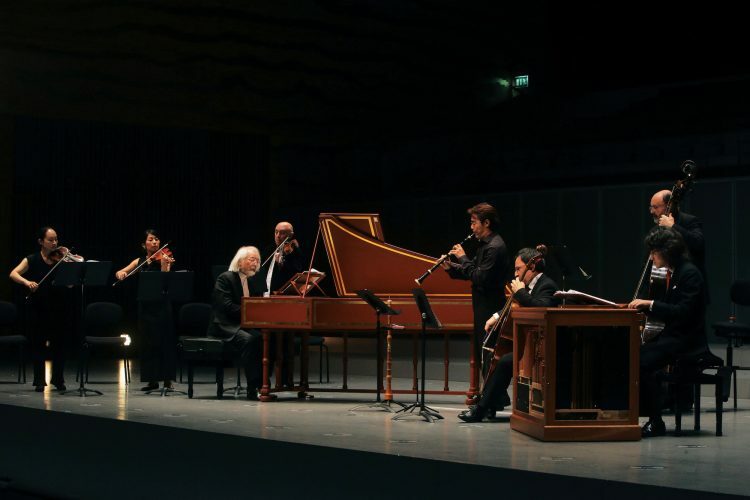 Ever since Masaaki Suzuki founded Bach Collegium Japan in 1990, the period-instrument ensemble and chorus have focused intensely on the music of Johann Sebastian Bach. Their rare performances of other composers have mostly involved Baroque figures, such as Buxtehude or Handel. 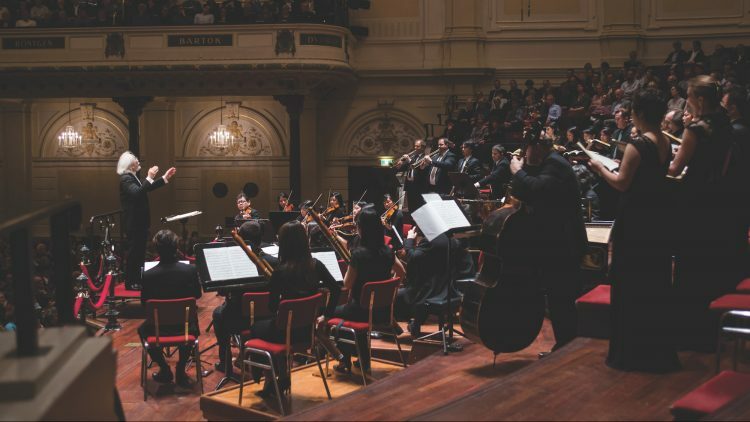 In upcoming European concerts, however, BCJ will venture into the Classical and early Romantic periods, performing works by Haydn, Mozart, and Mendelssohn. A recording of Beethoven’s Missa Solemnis was released in February, and the ensemble previously recorded the Mozart Requiem. Suzuki, 64, sees this as a natural evolution. But it comes after decades of singular devotion to Bach and a deeply considered theological philosophy that has informed Suzuki’s approach to music from an early age. Surely few Bach fans a generation ago could have foreseen that one of the most iconic and revered interpreters of his music would come from Japan. Bach was deeply religious, and his music reflects his Lutheran Christian beliefs. In the West, we experience it as part of our history and culture, and many of us grew up hearing and singing Bach in church services. And, while Christians comprise a tiny minority in Japan, that’s just what happened with Suzuki, whose parents were Protestants—and musicians. Suzuki said his passion for Bach began at age 12, when he played the organ for services in the small church his family attended. “At that time, Karl Richter was really famous,” he said. “I bought a couple of his recordings—organ, harpsichord, B Minor Mass, and so on. And that made me very close to Bach’s music. Suzuki soon found mentors. His first harpsichord teacher had studied with Gustav Leonhardt in Amsterdam. He continued his studies in Europe and taught there before returning to Japan. “Until recently, we have really concentrated on Bach’s music,” said Suzuki, speaking of the Collegium with typical understatement. In 2013, the BCJ finished recording Bach’s 191 church cantatas, a project that took 18 years and filled 55 discs. A highly regarded organist, Suzuki is well on the way to recording all of Bach’s organ music, though, he added, “I’m not sure I can complete it.” He finished recording Bach’s works for solo harpsichord in February. He is one of very few musicians ever to record Bach’s complete four-volume Clavier-Übung, which includes music for organ as well as harpsichord. of different eras. “Now that we’ve completed all the cantatas and most of his instrumental music,” he said, “we are so much interested in following the line of the sacred music tradition, especially in the Masses. We’ve done the Bach B Minor Mass so many times, as well as the Mozart C Minor Mass, and now the Beethoven Missa Solemnis. These three compositions are interesting and closely connected. None of the three was written to be performed in a service. “What form was the B Minor Mass written for? It was written at the very end of Bach’s life, using very much the musical elements from his youth. So, he was trying to complete his life! The C Minor Mass, which Mozart left uncompleted, was probably composed in part to persuade his father to accept his wedding to Constanze, and the soprano has wonderful solo parts in there. On June 9, the ensemble will visit Leipzig’s historic Thomaskirche, where Bach was Kapellmeister, performing three Bach cantatas as part of the Leipzig Bachfest “Ring” of cantatas. “Thirty in one weekend: a really crazy plan,” said Suzuki, laughing. This will be followed by a performance of Mendelssohn’s Elijah at the Gewandhaus on June 12. In Japan, where it is based in Kobe and Tokyo, the BJC has an annual series of five concert programs, along with a variety of special projects each year. Their next visit to the U.S. is still being planned, but Suzuki will conduct Tafelmusik’s performances of St. Matthew Passion in March 2019 in Toronto. How differently does the group approach these more modern pieces in terms of historical performance practice? 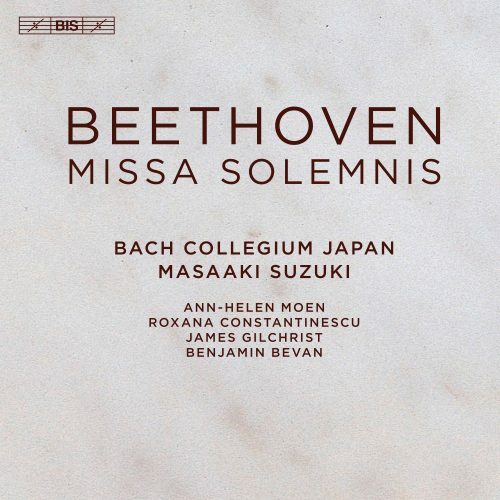 Masaaki Suzuki responded quite differently to the same question, insisting that the fundamental approach was really the same: “With [Missa Solemnis], the key is the relationship between the music and the text. I didn’t need any other attitude or approach, other than Bach. 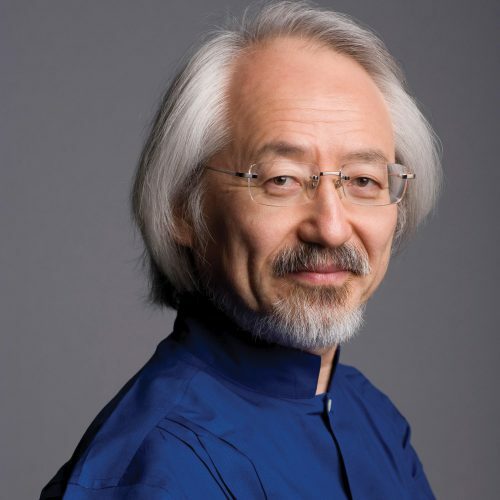 In addition to his work with the BCJ, Suzuki maintains a busy schedule as an organist and harpsichordist, guest conducting many of the world’s greatest orchestras, and teaching. My conversation with him took place in Paris, where he teaches at the Conservatoire de Paris. He is a visiting professor through a joint project with the Yale School of Music and the Yale Institute of Sacred Music, where he serves as principal guest conductor of the Yale Schola Cantorum. 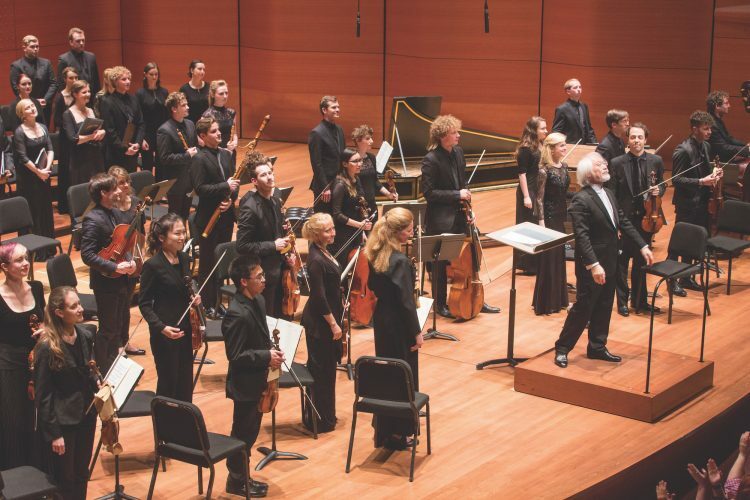 In recent years, Suzuki has collaborated with Juilliard Historical Performance, working with the Juilliard415 ensemble. “The problem is that Yale doesn’t have a period-instrument orchestra, and Juilliard doesn’t have a choir. So I came to Juilliard through Yale, and we have a joint project with both, but I continue to work with them separately as well.” Last year, Suzuki led the Juilliard ensemble on a 10-concert tour of New Zealand, and they will join the BCJ for the Mendelssohn performance in Leipzig. The student performance in Paris a few days after our conversation was typical and telling. It took place in the German Protestant Christuskirche and was integrated into the church’s worship program.